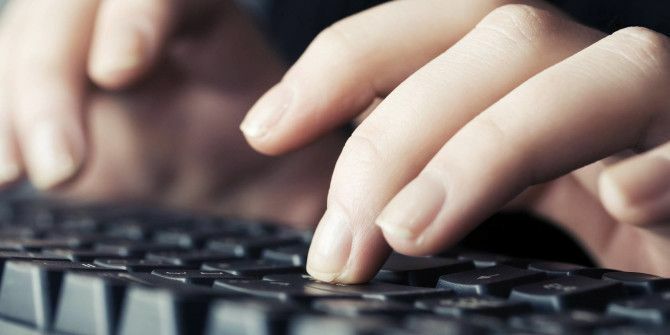 If you open up Notepad or Microsoft Word or any other text editor or word processor and then press and hold any letter key on your keyboard, you’ll notice two things: 1) the letter is typed and followed by a slight pause, then 2) the letter gets typed some more in rapid succession until you release the key. The first is called repeat delay and the second is called repeat rate. Both are controlled by the operating system, in this case Windows 10, and you can change both of them! Open the Start Menu, then search for “keyboard” and launch the Keyboard properties page of the Control Panel. It should look like the screenshot above. Drag the Repeat delay slider between the four settings, where the longest setting is a delay of around 1 second while the shortest setting is near-instant. Drag the Repeat rate slider between the many settings, where the slowest setting is about 2 repeats per second while the fastest setting is around 40 repeats per second. Why would you want this? Well, it helps when you want to delete a lot of text (holding down the Backspace or Delete keys) as well as when you’re navigating around a text editor (holding down the arrow keys). I’ve personally chosen the shortest delay and the fastest rate. Did this help? Which speeds do you prefer for the two settings? Let us know in a comment below! Explore more about: Keyboard, Troubleshooting, Windows Tricks. Very nice! I've personally noticed from an older version of physical keypad of BlackBerry to newer both on DocsToGo, they no longer allow me to repeat a key. Used to hold down and get it going. Helpful when I write to put an asterisk across the bottom or middle of entry dates. I know this is word and it doesn't do it either for me, but now I'll look into it and maybe return things to normal for me. I miss not being able to hold the key and get it to keep on that character.